This wine tour is tailored for those who love wine and would like to know more about Slovenian terroir and wine. Get to know best Slovenia’s winemakers and their wines. Enjoy superb Slovenian gastronomy of different Slovenian wine regions. Join this 5 days Wine Tour of Slovenia as a self-drive tour or private guided tour. The itinerary can be adjusted according to your wishes. Contact us and tell us about your wishes and needs regarding your Wine and Dine Slovenia tour. Transfer from Ljubljana or any other airport and head to Ljubljana, the capital of Slovenia. 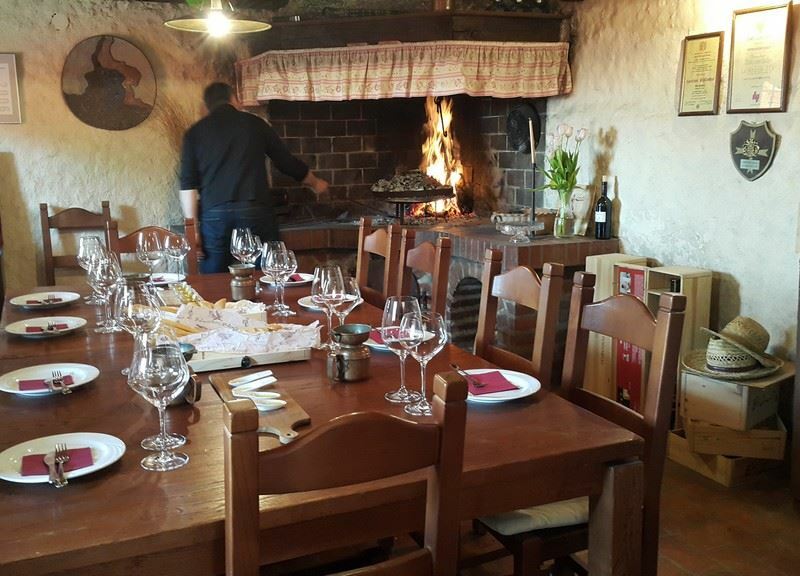 A guided tour of the old town and a welcome dinner with wine introduction. Drive to Vipava valley after breakfast to enjoy your first wine tasting of the day. The medieval town of Vipava and its surrounding areas are the focus on the first day of the wine tour in West Slovenia. This charming medieval valley is known for its indigenous grape varieties: Pinela, Zelen and Klarnica that will be on wine menu also during our first wine tasting of the tour. A private guided visit to the picturesque stone village of Goče where the charming owner of well-preserved traditional estate will prepare an unforgettable culinary experience of local food accompanied with wine degustation. While you dine and wine, the splendid view over the valley will make you reluctant to leave. On the way to Brda we will stop for the last wine tasting of excellent wines of the Vipava valley. Dinner and wine pairing in the evening at family owned boutique hotel. Goriška Brda are Slovenia’s most famous wine district. With its idyllic landscape, nested halfway between the Alps and the Adriatic Sea, with abundance of beauties, and extreme winemakers are a true wine attraction. The first wine tasting of the day at Slovenia’s finest sparkling wine estate. Learning about sparkling wine production process and taste the flavored wine. Continue wine tasting by visiting another premium Slovenian wine producer. Light meal served. Visit of the Gonjače lookout tower offering a superb view over the endless vineyards, cherry orchards and olive trees. A short walk through Šmartno, a walled settlement filled with narrow streets and artisan shops selling seasonal local food and craft. The dinner with wine tasting will be served at another premium Slovenian wine estate. Departure after breakfast and making our way towards Karst plateau. Wine tasting of premium wines of the Karst wine region, where the dominant wine varieties are Vitovska, a white wine, and Teran, a rede wine. Visiting Štanjel and taking the glimpse into the history, as walking around the picturesque hill village with rows of stone houses. The preserved Štanjel medieval architecture is an excellent example of how people used to protect themselves against the harsh climate, especially the strong bora wind in winter and the lack of water in summer. After lunch visit of the Škocjan caves, the only monument in Slovenia listed on the UNESCO’s natural and cultural world heritage site list. Arrival to Ljubljana and wrap-up dinner. 2 – 4 pax: 5 days from 1250 euro per person. 2 – 3 pax: 5 days from 2350 euro per person. 4 – 5 pax: 5 days from 1790 euro per person. 6 – 8 pax: 5 days from 1530 euro per person.